We live luxury. Our direct relationships with our hotels & resorts enable us to get that little bit extra for our customers. Speak to one of our expert travel agents today and find your Destinology! For a luxurious retreat amid astoundingly serene settings, look no further than Aman Resorts. The award-winning Aman destinations truly embody luxury, tranquility and privacy and embrace 30 resorts across 20 awe-inspiring locations. With two outstanding hotels in Sri Lanka, there is simply no better place to stay to ensure your time on this majestic island is both relaxing and rejuvenating. 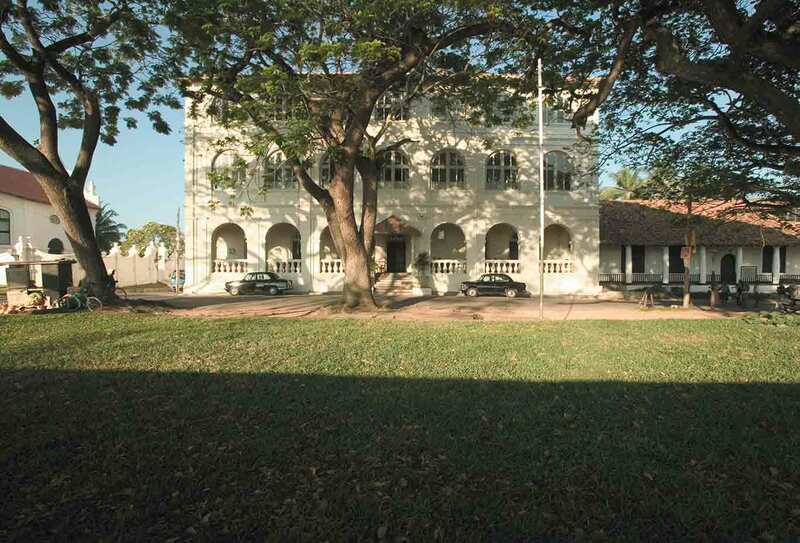 Amangalla is one of Sri Lanka’s oldest and most famous hotels and sits just metres away from the 400 year old Galle Fort, a UNESCO World Heritage Site and the best preserved colonial fortification in Asia. Amangalla perfectly retains its historical charm whilst providing guests with all of the world-class amenities that Aman resorts have become synonymous with. There is a 21-metre swimming pool situated within Amangalla’s shady gardens, offering a tranquil haven to escape the busy streets of Galle. The hotels spa comes complete with five treatment rooms – offering a selection of different therapies all designed to reinvigorate the mind and body. The hotels dining room is fully furnished with period furniture and antique silverware and offers an authentic, intimate setting to enjoy fine cuisine, centred around local produce. Amanwella is situated on Sri Lanka’s southern coast and overlooks the turquoise waters of the Indian Ocean. Lying nestled amongst coconut palms and surrounded by golden sandy beaches, Amanwella is a peaceful paradise and is perfect for those seeking either a relaxing break or a romantic escape. The resort's coastline is ideal for surfing, snorkelling, fishing and whale watching whilst the nearby town of Tangalle makes for excellent exploration. Amanwella offers 27 contemporary suites with each one providing beautiful ocean views and equipped with a private terrace and lounger. The Restaurant and Beach Club specialises in locally-caught seafood as well as traditional Sri Lankan curry dishes. Guests will marvel at the beautiful, panoramic views of the bay which can be witnessed from the elevated restaurant terrace.